The all NEW Über Brolly Ültra Golf Umbrella is the very best golf umbrella that we supply – and it is one of the most durable and strong umbrellas on the market in the world. It’s Über strength comes from its ultra strong extendible ribs which allow the umbrella to move and respond to the climatic elements. If the wind blows then the ribs extend so that the umbrella doesn’t ‘catch’ in the gusts or blow inside out. 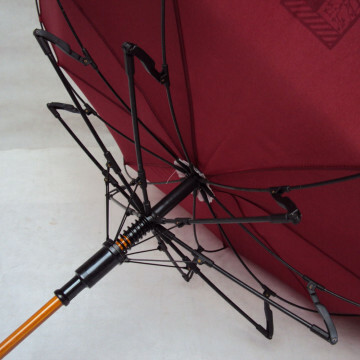 It protects the frame ensuring that it will never bow, bend or snap, this will mean that the umbrella will not ‘pull’ the user when the wind picks up, making it a pleasure to use. The frame uses our unique Fibre-Storm® technology so that you can be confident it will withstand the full force of the UK weather. It’s full fibreglass frame, shaft and ribs makes this umbrella storm-proof and we can guarantee that our Fibre-Storm® umbrellas really will last. 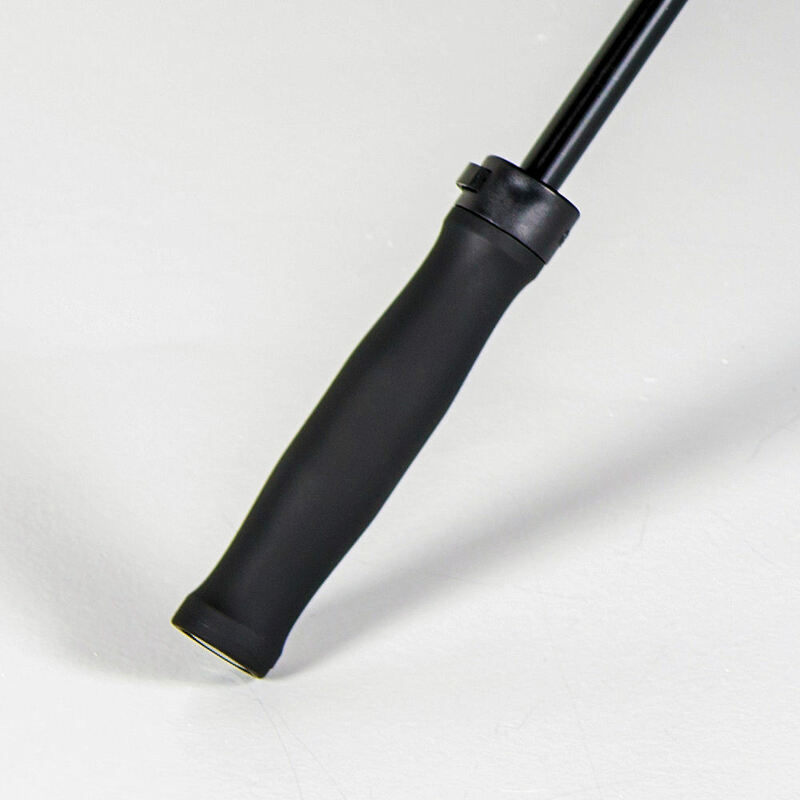 It has a non-slip Seno rubber handle for a super-sporty look, has a push-button automatic open and close system, and it extremely lightweight. 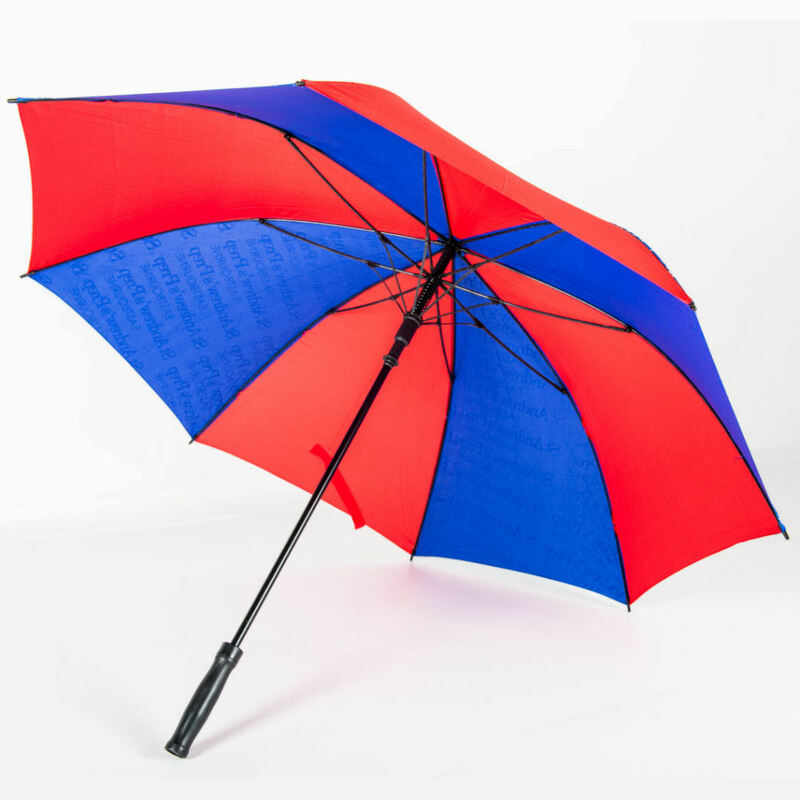 We custom-make all of our branded umbrellas which allows us to easily – and cheaply – add different finishes, umbrella components or printing options to your personalised umbrella. As part of our service we are on hand to advise and guide you so if the number of options are a bit overwhelming just give us a call. We would be happy to offer some friendly guidance on what would work best for your brand as well as within your budget because it is important to us for you to get your branding effectively communicated. 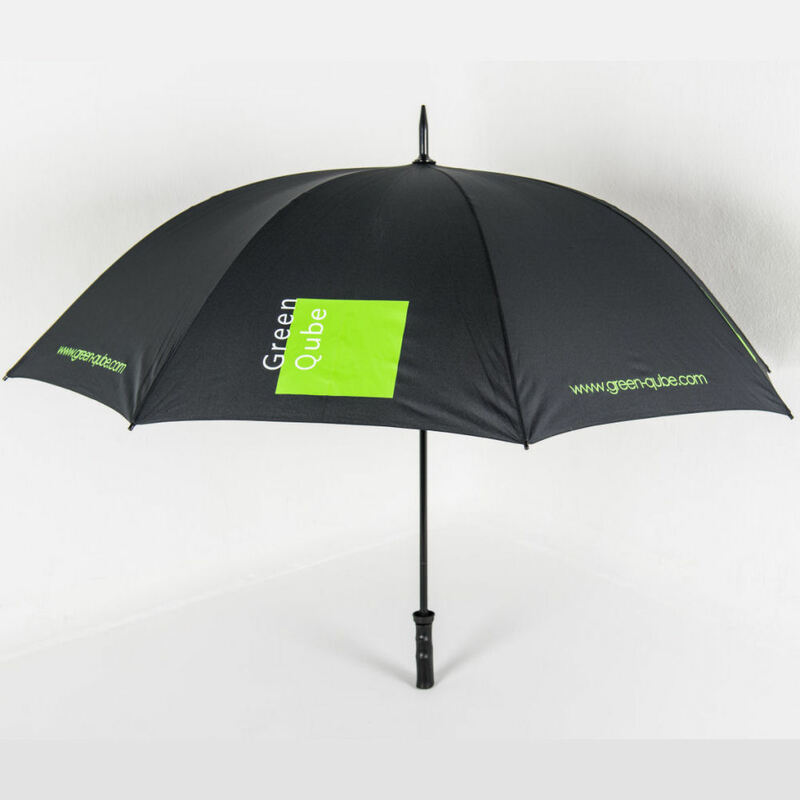 Why not take a browse and see what finishes and printing techniques you could adopt to therefore make your branded umbrellas truly stand out from the crowd.